Ford has revealed plans to launch a petrol-electric hybrid version of its Mondeo estate from 2019. Prices are yet to be confirmed for the hybrid estate but it's likely to start at around £28,000 in Titanium trim and £31,000 as an upmarket Vignale model when it goes on sale early in 2019. Like the existing Mondeo hybrid saloon, the estate will pair a 2.0-litre petrol engine with an electric motor with a battery situated behind the rear seats. A CVT automatic gearbox is used, with the setup providing a total of 187PS. The Mondeo hybrid estate can be driven in pure electric mode for brief periods, while regenerative braking can pump up to 90 percent of the energy normally lost through braking back into the battery. Although fuel consumption figures are yet to be confirmed, they're likely to be close to the saloon's 108g/km CO2 and 58.9mpg. The news comes after Ford rejected rumours that the Mondeo could be axed as part of controversial plans to cut costs. 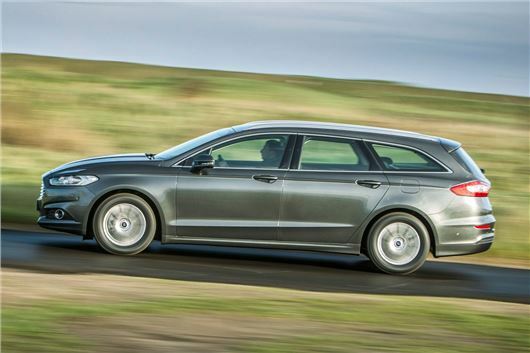 Around 30 per cent of Mondeo buyers opt for the estate in the UK, but the hybrid saloon has been a slow seller. That's partly because the batteries eat into luggage space - a problem the estate's set to resolve when it goes on sale in spring 2019.